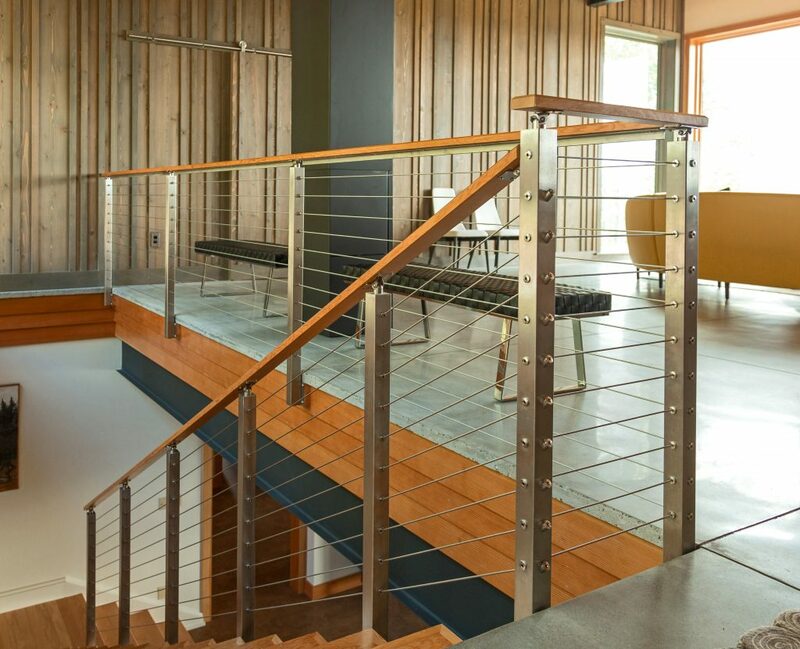 Though we often highlight the many benefits of cable railing in exterior environments, it can be equally impactful indoors. This project utilizes our side mount posts, giving the loft space and the stairs the most open plan possible. The stainless steel posts give the contemporary home an even more modern look, while the wood handrail keeps the railing rooted in the earthy tones. We have any array of cable railing post styles and powder coats that can be a highlight in your home.